We’re very happy to bring you today a very special podcast, released through PotterCast, our Harry Potter podcast. Thanks to Andrew Slack of the HP Alliance and a horde of dedicated Harry Potter fans, wizard rockers, podcast editors and more, we present Becoming Dumbledore’s Army: Harry Potter Fans for Darfur, a podcast full of information and entertainment aimed at helping Harry Potter fans use the messages in the books to fight real injustice in the world. The show features interviews and insight from world leaders on the subject, including leading human rights activist John Prenderdergast, and retired diplomat Joseph C. Wilson (author of The Politics of Truth: Inside the Lies that Led to War and Betrayed My Wife’s CIA Identity: A Diplomat’s Memoir). It features interviews, discussions, cameos, and humor bits from wizard rockers Harry and the Potters, Draco and the Malfoys, The Remus Lupins, and more. Matthew Vines of Veritaserum talks about his experiences fighting injustice in the Sudan. And best of all, it contains concrete information on how you can get involved, and join the real Dumbledore’s Army. 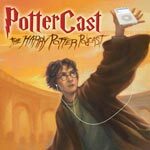 To listen to the show, just click on the PotterCast player on the side of this page, or subscribe to the feed at iTunes. You can also directly download the show to your desktop by clicking here and saving the file. -For more information check out this information page, or the Harry Potter Alliance web site and MySpace. Direct download low-bandwidth (8 MB). HUGE thanks go to Matt Kelliher and all the PC editors, Andrew Slack, the wizard rockers, and everyone who got involved to help make a difference! Remember – spread the word! Below you’ll find the text of this news post – select it all, copy it, paste it on a blog, on a Web page, in a MySpace bulletin – whatever you can do to help get them message out! Thank you all!